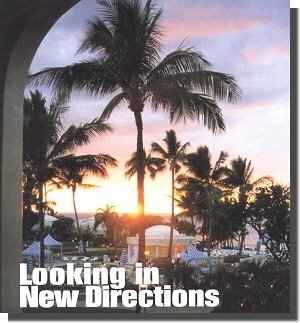 Our industry is at a crossroads," stressed Joel Sherman, president of Nat Sherman, Inc., in opening remarks to fellow TAA retailers and associate members at the sprawling Kea Lani resort on Maui's southern coast. "We're under attack from within and without," Sherman exclaimed, setting the stage for what would be a recurring challenge to TAA retail members, and a launching pad for three days of intensive industry and retailing analysis. In a business that seems to redefine its ground rules every several months, retailers recalling the business environment just last year would hardly recognize the landscape today. Established manufacturers have overcome backorders by significantly expanding production - a slow process perceived at times to have been a calculated effort to withhold product, just one of many insecurities dispelled throughout the meetings. Competition for cigar customers continues to grow, with distribution channels expanding every month. And as a relentless government attack on tobacco in general directs its attention to cigars in particular, retailers must acknowledge that the easy ride of the boom days is over. The bottom line, according to Sherman, is that specialty tobacco retailers need to stand up for themselves. "I'm proud of what I do," erupted Sherman, a sentiment reflected in his company's new advertising campaign which declares, "I don't sell cigars�I'm a Tobacconist." Candidly challenging tobacco shop owners to recognize that "ego keeps us going," and that a good dose of self-importance is in order these days, Sherman implored TAA retailers to take responsibility - for their rights, and their future success. "Retailers complained there wasn't enough product," said Sherman. "Now, retailers are complaining about overstock, telling manufacturers to 'wait,' that we have 'too much,' that manufacturers 'held back product'" - an accusation he says simply isn't true. With most brands being widely available once again, Sherman stresses that retailers need to "get out there and sell, or someone else will," facing the demon of new competition straight in the face. Sherman's address hit a nerve - a visible frustration shared by many lifelong, career tobacconists over smoking's growing status as society's current "evil empire" of choice. Although specialty tobacco shops have traditionally been able to distance themselves from cigarette issues, it is no longer possible to separate responsible tobacco use from youth smoking issues, to separate the sins of the giant cigarette companies from the passions of small manufacturers. It's open season on tobacco, and everyone is at risk. "I don't know anyone who's ever sold cigars to kids," exclaimed Sherman, speaking on behalf of the tobacconist community. While the nation's anti-smoking movement gains power under the noble guise of youth-access restrictions, the cigar industry is being increasingly scrutinized for its marketing practices - ones that it says have always targeted adults. "Who's next under this argument?" warns Sherman. "If we do it, it's wrong. But if others do it, it's okay." Sherman's remarks were just some of the many challenges made to retailers calling for greater participation and more active involvement in defending the livelihood of the retail tobacconist. While palm trees and towering volcanoes framed the scene for the 30th Annual Convention, inside, some of the industry's top retailers and manufacturing experts shared their views on the issues and trends affecting retailers through a series of panel discussions. Each was designed to educate and inform TAA retailers. In all, over 300 people participated in this year's record-sized convention. The first moderated panel examined how the established TAA tobacconist is adapting to keep pace with the evolving tobacco retail environment. "The most important change," explained Eloise Ensminger of The Pipe & Tobacco Shop, Little Rock, Arkansas, "is being more knowledgeable. We have a greater responsibility; younger customers are more knowledgeable - they look to stores for trustworthy advice about products." Like many retailers fighting to differentiate their shop from newer, less qualified cigar retailers, Ensminger believes that personal service is a top priority, the key factor that differentiates tobacconists from the convenience store down the block that's selling cigars. "The gas station doesn't care - we do." Other retail panelists see their role extending beyond the store, into taking an active part in promoting cigars and heading off potential competitors before they grab new markets in your region. "Get your cigars into the golf clubs, the restaurants," advises Wayne David of David's Briar Shoppe, Omaha, Nebraska. David views suppliers as mass merchandisers, and retailers as promoters, utilizing television, direct mail, and cigar-of-the-month programs to reinforce traditional walk-in business. He himself takes advantage of co-op advertising opportunities to strengthen his own promotions, such as programs offered by Zippo. Tinder Box franchisee Bob Winston agreed. "The super premiums have been key in the past five years. But are they our future?" As customer traffic calms down in the store, retailers should recognize that other accessible venues such as golf clubs and restaurants are "hot," said Winston. "Don't worry about the liquor stores and the gas stations," he assures, recommending instead that retailers concentrate on assembling a top-notch staff, "attracting the best players - raising the bar" of customer service. Ill-prepared competitors, the sentiment follows, will ultimately get what they deserve.